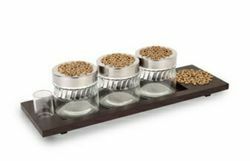 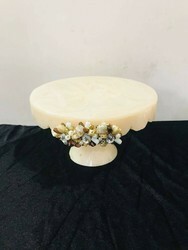 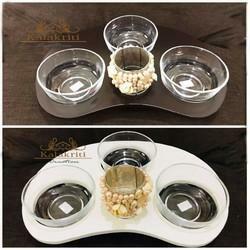 Our product range includes a wide range of bean shape serving platters, metal buffet organizer, trolley with tray set of 3, panipuri platter, dry fruit box and chip dip trays. 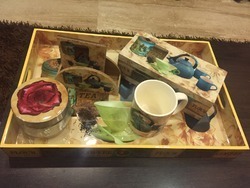 To satisfy always developing necessities of our regarded customers everywhere throughout the world, we are included in offering Dry fruit box. 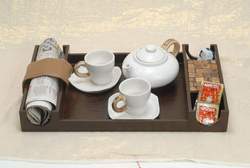 These items are outlined with exactness utilizing quality-tried material and contemporary innovation by our specialists. 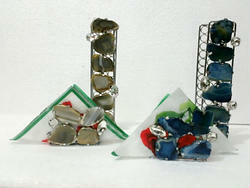 Likewise, our items experience different tests by our quality controllers in order to guarantee their perfection. 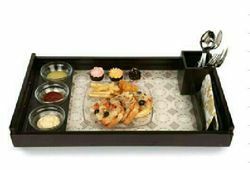 With support of our trustworthy experts, we have been delivering the best quality range of Chip Dip Trays. 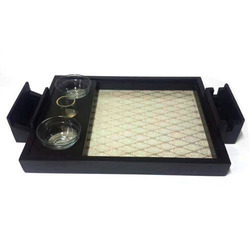 Our offered tray is available on numerous designs & sizes as per the needs of customers. 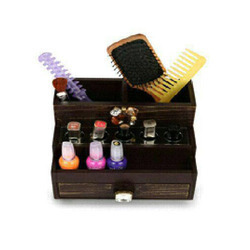 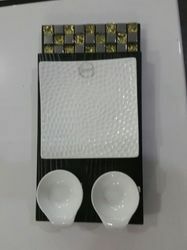 This tray is designed by our highly experienced professionals by using modern techniques in strict adherence with the trends of market. 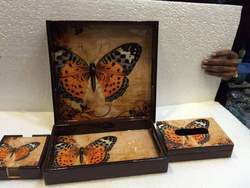 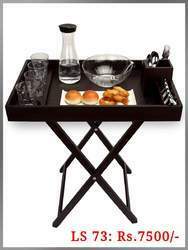 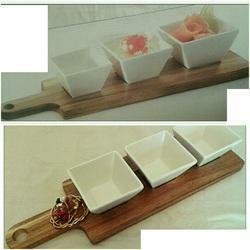 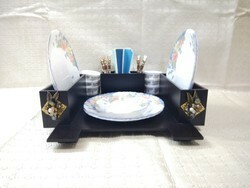 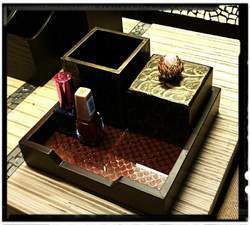 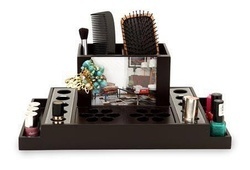 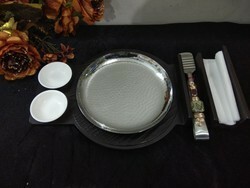 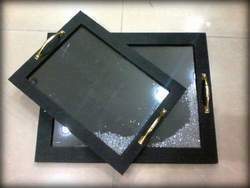 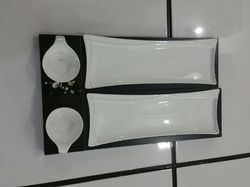 Offered tray is valued among customers due to its impeccable design. 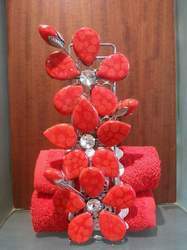 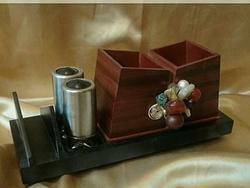 Kalalkriti Creation is leading supplier, manufacturer, wholesaller, Retailor & Exporter of Metal Buffe Organizer. 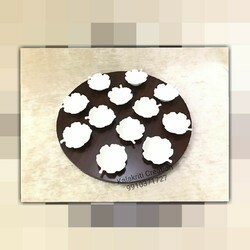 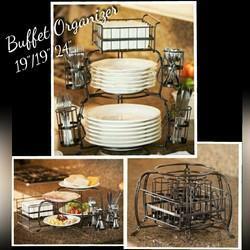 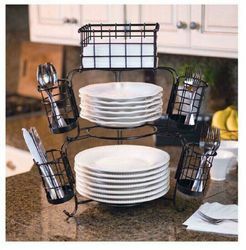 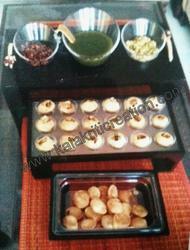 We are one of the well acclaimed manufacturer, trader and supplier of a vast variety of Round Buffet Organizer. 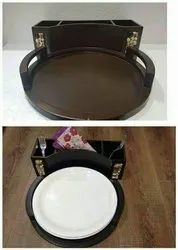 Can be used in Kitty parties , get togethers etc. 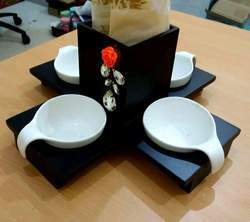 Size and design can be customised as per client requirement. 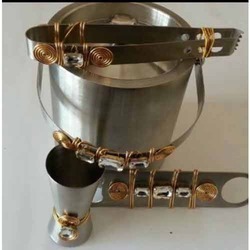 With enormous experience in this domain, we have established ourselves the most reliable manufacturer, trader and supplier of attractively designed Bar Set. 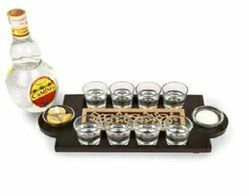 Use for gifting as well has wide consumption in various places for drinking purpose, our offered bar glass is used for decoration purpose in various areas. 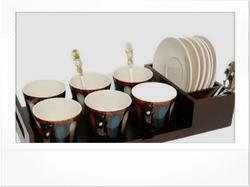 This bar glass is made by our craftsmen using high quality basic material & glass. 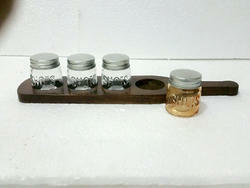 Our offered bar glass is proper checked by our end in order to deliver crack free range from our side. 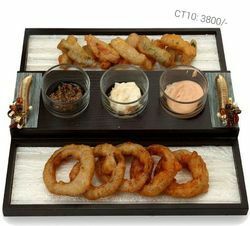 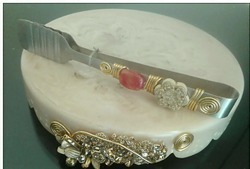 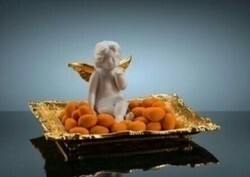 ANGEL SQUARE PLATTER GIFT is available in both 24kt Gold and Silver platted Square Platter. 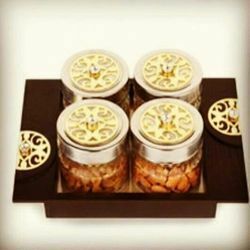 Can be used for gifting of Dry fruits to your loved ones. 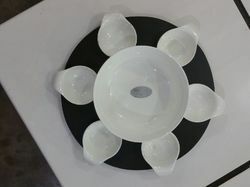 Looking for Home Decor ?